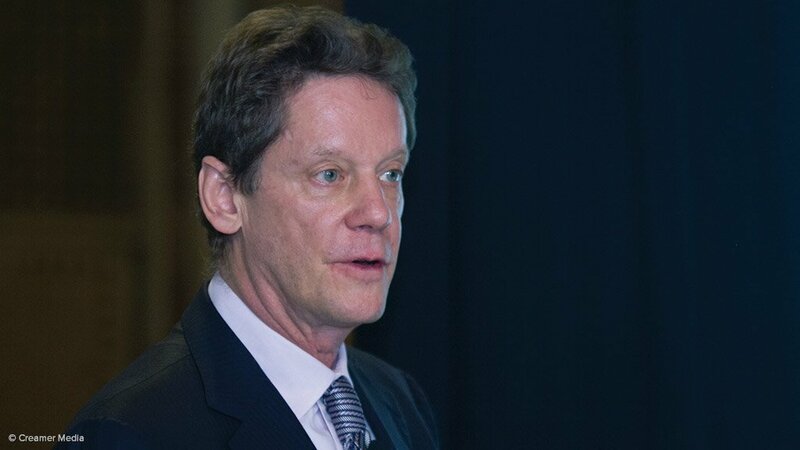 CAPE TOWN (miningweekly.com) – Enormous global demand is building up for copper, platinum and zinc, driven by new technology, mitigation of health risks in hospitals and agricultural augmentation, Ivanhoe Mines executive chairperson Robert Friedland said on Wednesday. In a comprehensive address to the Investing in African Mining Indaba, Friedland used statistics from credible global institutions and well-recorded technological advances to highlight major looming copper shortages, strong upcoming platinum demand for hydrogen fuel cells and the practice of adding zinc to soils to grow food, which promotes good health and renders the metal nonrecyclable. He flashed on to a big screen graphics of platinum-catalysed fuel cell vehicles needed to do the main job of stopping tiny particles in the air of major urban cities from entering lungs, getting into the blood stream and then going permanently beyond the blood brain barrier. He outlined how ten times more platinum a vehicle will be used in the move from catalytic converters to the fuel cell vehicle and showed a picture of a Honda Clarity fuel cell car engine that uses one ounce of platinum per car. He provided details on four of the world’s top car makers bandying together to build super-fast electric car charging stations across Europe. Friedland spoke of copper being used increasingly in hospitals to mitigate against the acute risk of antibiotic-fighting super bugs, citing bed rails, tray tables and door knobs as high-risk items that will in future have to be covered in copper. He calculated that copper-coating call buttons over hospital beds lowered the bug risk by 527% and copper-coated bedrails by a percentage many times higher, resulting in all US military hospitals changing to copper. “I can’t possibly emphasise enough how important this particular issue is because we haven’t invested in a new antibiotic in 35 years and this is the simple, passive way to deal with this,” he said. Friedland said Daimler Chrysler, BMW, Ford and Volkswagen were setting out to electrify Europe by installing hundreds of extremely fast charging stations for fuel cell vehicles. Each charging station will have a capacity of 350 kW, which will be 140% more powerful than the super chargers proposed by Tesla. In January, Ford introduced a programme in Europe and America that also allows cars to charge wirelessly. They pull up to a parking spot and the cars are charged without plugging in. Some 380 000 people have paid deposits of $1 000 to reserve Tesla Model 3s, which has a reduction motor as its only moving part. The $35 000 car is extremely copper intensive. Simultaneously, platinum-catalysed hydrogen fuel cell vehicles will dominate larger vehicle ranges and cold climate regions, owing to fuel cells having proton exchange membranes that also provide heat as well as electricity. The Toyota Mirai fuel cell car has a range of 312 miles and refuels in less than five minutes and the Germans are following the Japanese. Daimler, BMW, Audi and Volkswagen are all working on fuel cell automobiles. Large cars, like the Mercedes S Class variety, are more likely to be fuel cell driven, while small cars not required to drive far are likely to be battery driven. Both are electric cars, except that the fuel cell generates the electrical energy for all-electric drive trains and bigger vehicles will all be fuel cell driven. The Chinese are building trams that run on hydrogen fuel cells that take 30 seconds to refuel, emit only water and the Chinese are spending $32-billion extending the tracks over 1 200 miles. He flashed up a picture of a German passenger train with a hydrogen fuel cell that gives it a 500-mile range. “These sorts of zero-pollution mass transportation vehicles will rely on the platinum that comes from South Africa,” he said. The Japanese will begin selling fuel cell buses in Japan this year and there will be a fleet of 100 of them in operation for the 2020 Olympics. He sees platinum as holding the key to hydrogen’s potential, with a typical small car using about 30 g of platinum. Wind energy uses five times the quantity of copper per unit of electrical energy than the conventional burning of coal and photovoltaic solar power uses six times more copper per unit of electrical energy. China, which will be investing $361-billion into renewable power generation in the next three years, is already the world’s largest consumer of copper, with almost half of it going into power generation and the rest into appliances, transport, construction and electronics. Friedland said under traditional technology, before the advent of electric cars and renewable wind and solar energy solutions, his grandson was going to consume 971 pounds of copper in his lifetime and 521 pounds of zinc. In 2016, the world had a population of 7.4-billion, which is scheduled to grow to 9.6-billion people in 2050. Currently, copper production is less than 20-million tonnes a year. The introduction of electric cars to clean the air will require 120-million tonnes of copper a year. In the last three years, the world has increased copper production by an average of 328 000 t a year. From now on, the world would need 6.4-million tonnes of new copper production a year just to maintain where the world is headed. But the mining industry was not even close to finding the copper to clean the air. The industry is mining about 16% of the copper required. Friedland regards the phenomenon of urbanisation as the greatest social and economic transformation in the history of our species and sees it as set to continue for many decades, with profound implication for metals markets, miners and investors. He flashed on to the screen pictures taken in 1990 and 2010 of the same Shanghai district in China to show the massive urbanisation that has taken place “in a mere 20 years, the blink of an eye”. By 2030 – “which in mining time is tomorrow morning” – there will be 8.5-billion people on earth, with five-billion in urban areas – a billion more urban residents than currently. In China, as of two years ago, 56% of the population lived in urban centres, compared with a lot less than 25% not that long ago. By 2020, 60% of China’s people will be in cities, which is an additional 100-million people, rising further to 76% by 2050. “So China is spawning gigantic cities, many of which you have never heard of, but all of which are major consumers of certain metals. Many of the world’s cities have been enveloped in toxic smog, which is clouding the future of the urbanising earth. Outdoor air pollution is linked to three-million fatalities a year. Ambient air is now the greatest environmental risk to health, according to the United Nations World Health Organisation. In Asian cities, one in seven children live with high levels of outdoor air pollution and they are frequently plagued by asthma. Air pollution deaths, according to the World Bank, are costing the global economy five-trillion dollars a year. Friedland provided BBC video footage of giant toxic air-pollution clouds in Beijing and noted how this results in tiny 2.5 micron particulates entering deep into the respiratory system of people. He cited most recent studies as revealing increasingly greater danger from prolonged exposure to air pollution, with links to the incidence of strokes, and mental illness in children. Tiny magnetite particles from motor vehicle pollution are now reported as having a direct link to Alzheimer’s disease and dementia in older people, according to research published in The Lancet British medical journal. This is generically related to the problem of global warming but not just something that will make lives more unpleasant in 20 or 100 years when the temperature of the earth rises two or three degrees. “This is a related problem that will kill you right now if you live in a city that has this air pollution,” he warned, adding that this is not limited to China, but is basically a global phenomenon that implicates cities across the world.